A long time ago in yuppie years, I sat in a coffee shop in Dallas, uninspired on a Friday afternoon to complete something or anything that could be considered productive. In moments like this, I reach. I try to read something to pump me up, maybe an example of really good writing or something that just makes me laugh. Or I turn to music, which Brew House colleague Rustin Dodd once-termed a performance enhancing drug for getting work done. Fifteen years ago, a mogul who’d lost his best friend to murder and had his name implicated in the murder of an enemy changed the world of rap music despite the fact that he could barely rap. Remember? Maybe the glare from this glimmering jumpsuit will refresh your memory. On most nights, this would seem like a pretty simple plan. Drive to said show. Sip a beer and act sufficiently curious during the opening act. Experience the concert. And then head back out into the Kansas City night, content, inspired, ready for more music. The circumstances of this night, however, were something different. After planning for a couple weeks to go with two friends, life interfered in the days leading up to the show, and I was left with two extra tickets. 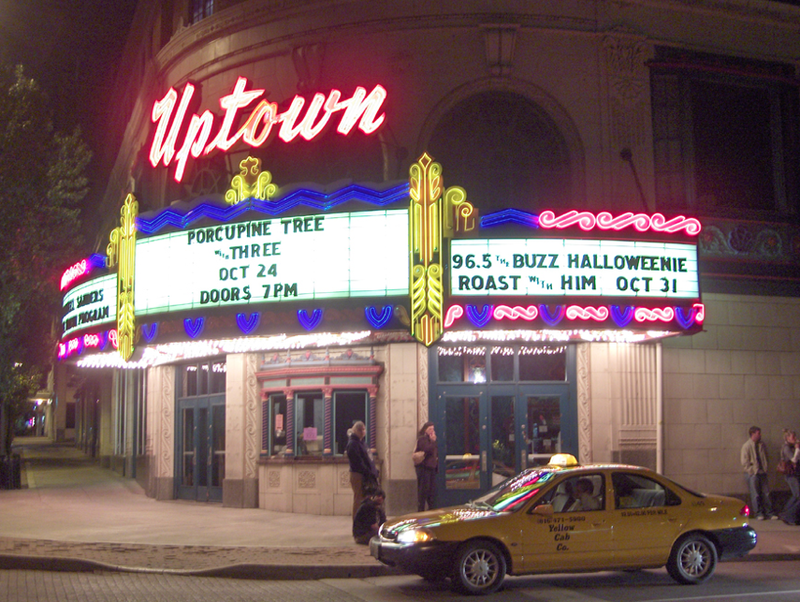 The Uptown was sold out that night, and I knew this. So I knew it wouldn’t be a problem to unload the extra tickets at the last minute, but I also felt a little hesitant about going to the show by myself. Do people do this? I thought. We’re half awake in our fake empire. Push through a revolving door and break the plane of a cold that hangs solid in the air and amplifies all the small sounds, making the busy sidewalk feel almost empty. The lights from the taller buildings — 30 or 40 or more stories up — create a soft electric glow, a warm blanket of false twilight that hovers and holds the city close. Maybe you’re headed home to dinner and bed. Perhaps you’re off to the gym. If it’s Thursday, you might be bound for a bar or dinner to meet co-workers or make connections. No matter where you’re going, you’re headed to whatever semblance of home you’ve built sooner rather than later, because tomorrow’s Tuesday or Wednesday or Thursday or Friday. Another day of work. This is all you have and this is all you have looked forward to. This is life as one in however many million, this is growing up and growing older in New York City. The National is the soundtrack.